I’ve always liked this quote as it pertains to watches and time because it’s so profound! 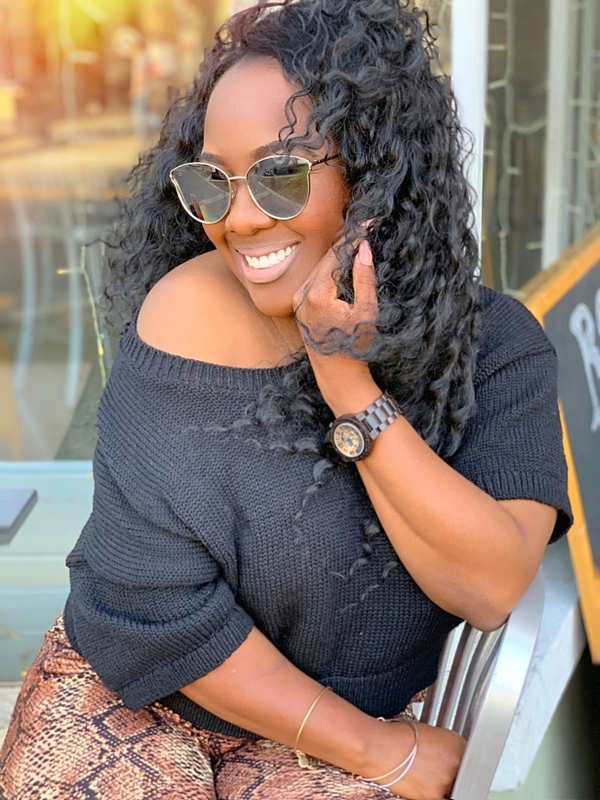 It goes back to something I always talk about on my blog, doing the things you love to do most with the one life you’ve been gifted! This notion resonates with me on a personal level and continues to remind me that we’re living now and the time is now to live life to the fullest! Speaking of watches, I love them! Along with earrings, they are my absolute favorite accessory. 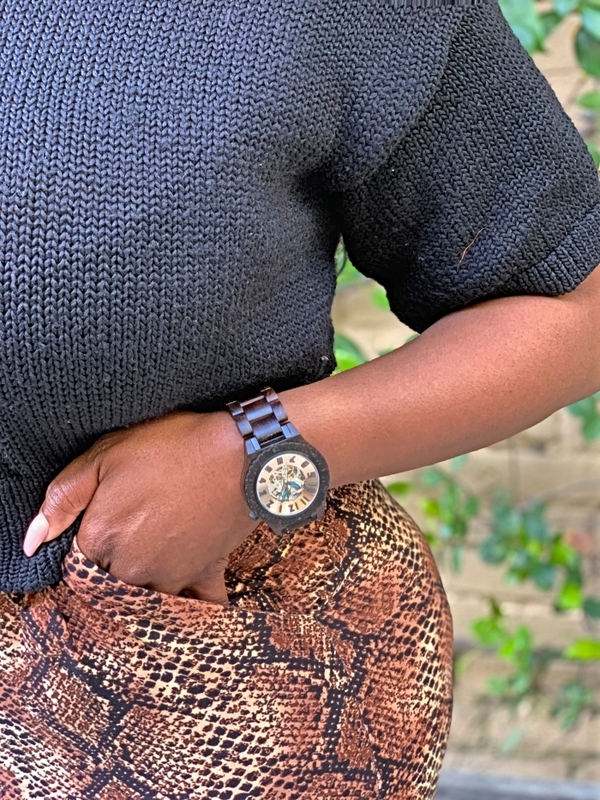 I won’t feel fully dressed unless there’s a watch on my wrist and earrings in my ears! It’s funny because now a days, people don’t really rely on them to tell time. I’ve had several of my high school students tell me that they don’t wear watches and if they do, it’s for fashion purposes only. I wear them for both so a quality watch is a must for me! 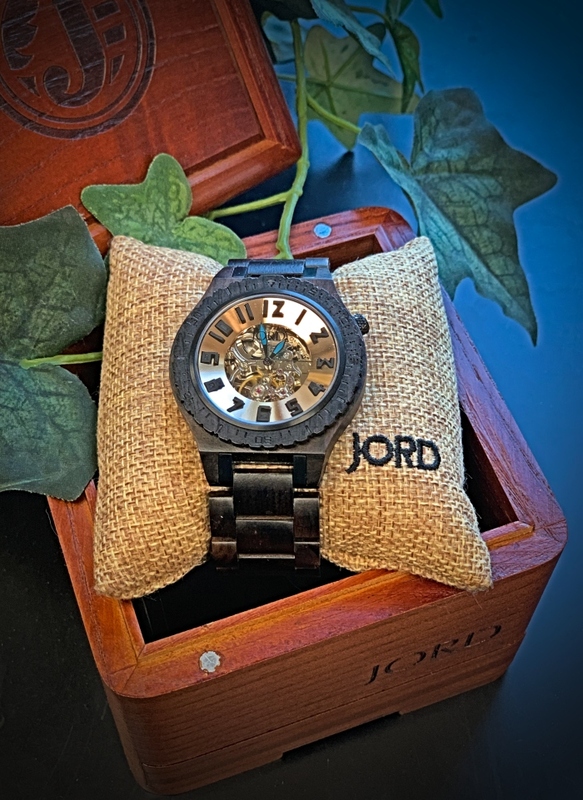 Jord Wood Watches is one of my favorite watch brands. Their watches are quality, unique, sophisticated, one of a kind timepieces, crafted with wood and other natural, reclaimed materials. I’ve purchased Jord wood watches as gifts and I love that they provide the option to engrave the backplates. I always choose this option to make the timepiece more special. 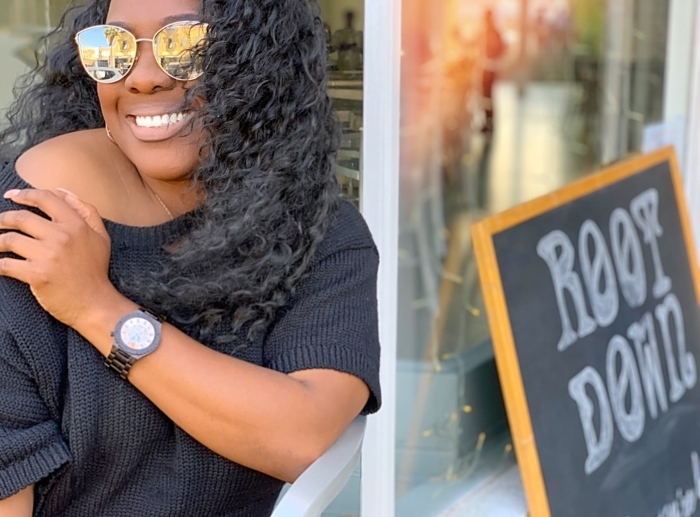 I was recently given the opportunity to partner with Jord and picked out the gorgeous open-faced watch called the Dover. This beautiful watch is both elegant and contemporary in the way it was designed! 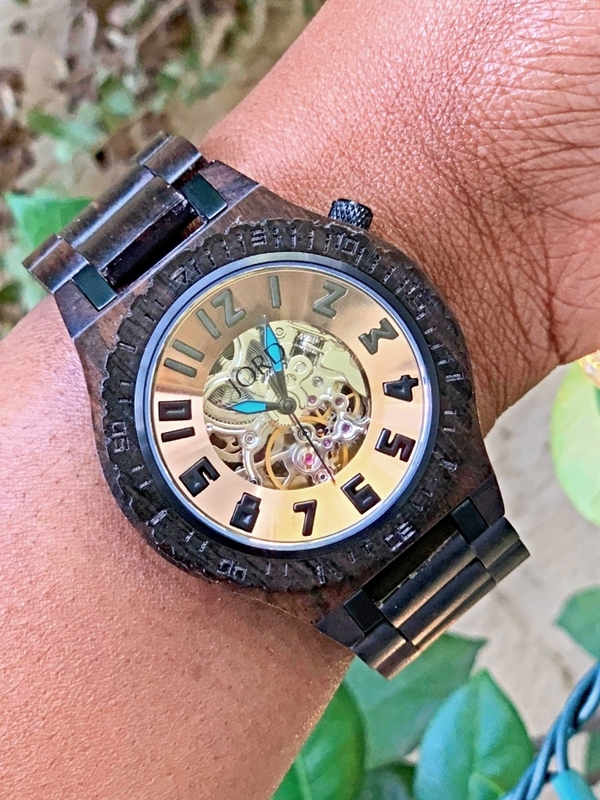 The copper face gives it luster, the rich ebony wood gives it sophistication, but my favorite part is the open face that shows all the workings of a watch. The Dover is definitely an eye-catcher! I am so proud to have it in my collection! It’s classy, it’s versatile, and I love it! 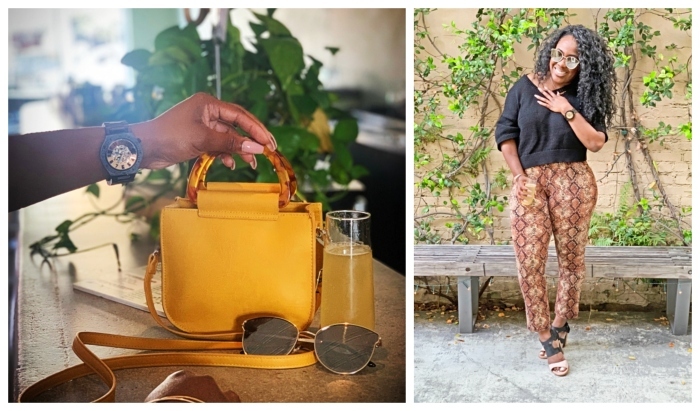 I like wearing neutrals, animal prints, and earth tones so the Dover is going to be a perfect addition to my looks. It complimented my Sunday Funday look nicely! As I’ve mentioned before, Jord watches are amazing gifts! They carry a beautiful selection of timepieces for both men and women, and I always recommend engraving them to make them extra special. 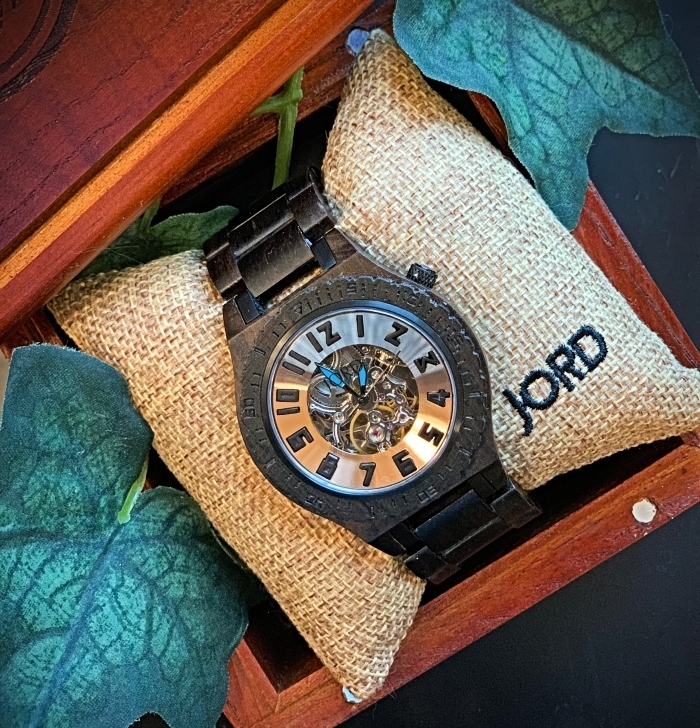 Presentation is everything and whenever you receive a Jord timepiece, it comes in a beautiful Cedar Humidor Watch Box, with a cleaning cloth, a 6-month supply of Jord Preserve wood treatment gel. I love nice things that come in beautiful packages. 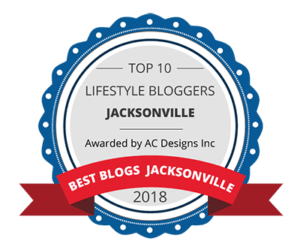 I have partnered with Jord to do a giveaway and one of you fabulous High Heels and Good Meals readers will win a $100 coupon code to go towards one of Jord’s beautiful wood watches for yourself! To sweeten the pot, anyone who enters will receive a 10% off code so everyone is winning if you ask me! 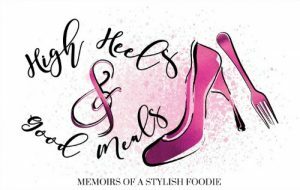 The contest will run for a month and conclude on April 28, 2019 and at that point, the winner will be notified. To enter click HERE and please share this post with your friends and family who love quality watches so they can enter in as well! Best of luck to everyone and as always, thank you for stopping by! Disclosure: This post was sponsored by JORD Wood Watches. I was given this product in exchange for review. My opinions were 100% my own and unbiased.